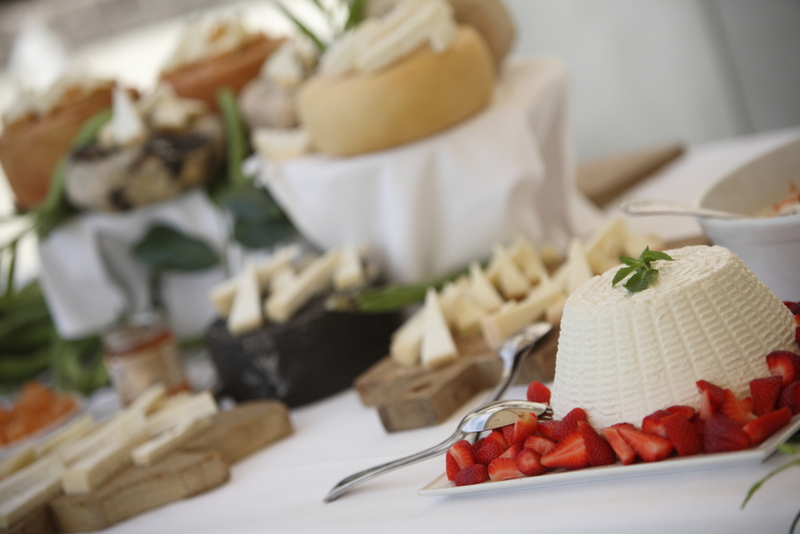 Tuscan cheese corner is the classic of the wedding buffet. There is often served a selection of different types of pecorino cheese, fresh and seasoned, served with jams, honey and spicy mustards. Pecorino cheese is made of sheep milk, and matured for months. Some cheeses are matured wrapped in walnut tree leafs, others in herbs, some are matured in caves. One of the famous Pecorino areas in Tuscany is Pienza, in Val D’Orcia, in the Province of Siena.